Our duct cleaning company offers several services to help you improve the indoor air quality of your Armonk home. Have you noticed the floating debris as a sunbeam shines into the house from the window? Have you seen the stuff that falls off the curtains when you shake them? If you've thought about duct cleaning, it's time to look into the matter further. We can tell you that is a very worthwhile investment in your home comfort and health, but only if you choose a reliable duct cleaning company to do the work. Too many scammers have taken advantage and made the legit companies look bad. Call our trusted Armonk duct cleaning company today to ask questions or to get an estimate. As hard as your HVAC systems works, it is inevitable that it will get dirty. Inside the system, it can collect mold, fungi, bacteria and a variety of other contaminants. Not to mention the insects and rodent droppings we often find in there. Scheduling regular service with our Armonk air duct cleaning company is one of the solutions. 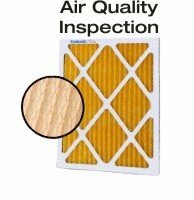 This process removes these contaminants from your home's HVAC system to improve the indoor air quality. Air cleaners, air purifiers, and air scrubbers are installed in homes every day. People usually choose a whole-home air cleaner or UV light purifier to keep contaminants from building up within their ductwork and HVAC equipment. UV cleaners are more like air scrubbers, killing all microorganisms that cross their path. Air cleaners come in many types of systems. If you've been thinking about installing an air cleaner in your Armonk home, give us a call so we can help you find the right one. It doesn't do much good to treat one room with a portable humidifier. For one, you have to keep moving it around because as you know, it doesn't treat the other rooms until you move it there. And, you are constantly filling them up with water. Whole-house humidifiers are the best solution. We carry and install quality humidifiers in Armonk homes, so call us today for a consultation so we can discuss some energy-efficient options. If you are looking for a duct cleaning company in Armonk then please call 914-381-5764 or complete our online request form.